Córdoba has just added a new World Heritage Site to its already extensive list: The city caliph of Medina Azahara. This has made the city the only place in the world with four World Heritage Sites, though still far from the 13 of Rome. As expected, the Andalusian city had no trouble obtaining such recognition, having received a glowing report from the UNESCO advisory board. Medina Azahara is the most important archeological site in Córdoba, and it is one of the oldest ruins in Spain. It shows ancient roads, bridges, buildings, hydraulic systems, decorative elements, and everyday objects that let us geta glimpse of what life was like in the golden age of Al–Andalus. So far, no Spanish city has achieved so much recognition by UNESCO. Its historic neighborhood is one of the biggest in Europe. UNESCO declared La Mezquita de Córdoba a World Heritage Site in 1984. Later, in 1994, they expanded this honor to a good part of the old town. The historic center is rich in monuments, conserving huge remains from the Roman, Arab, and Christian eras. In 2012, the palatine city had already been awarded a title of World Heritage Site to its Fiesta de los Patios. And now, in 2018, there are four places that have achieved this long-anticipated recognition. With the Medina Azahara, Andalusia now contains 13 declarations of heritage. 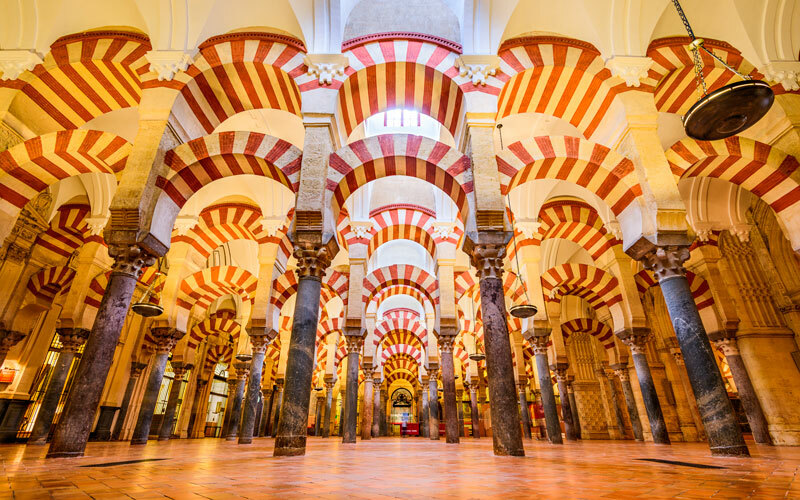 Nine of these are World Heritage Sites: the Mezquita de Córdoba; the Alhambra y Generalife de Granada; the Catedral, the Alcázar y Archivo de Indias de Sevilla; the Parque Nacional de Doñana; el Albaicín de Granada; the Centro Histórico de Córdoba; the Arte Rupestre del Arco Meditérraneo de la Península Ibérica; the Conjuntos Monumentales Renacentistas de Úbeda y Baeza(Jaén); and the Sitio de los Dólmenes de Antequera (Málaga).